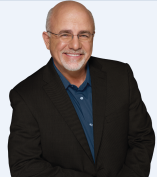 Dave Ramsey, a personal money-management expert, is an extremely popular national radio personality, and author of the New York Times best-sellers The Total Money Makeover, Financial Peace and More Than Enough. Ramsey knows first-hand what financial peace means in his own life—living a true rags-to-riches-to-rags-to-riches story. By age 26, he had established a $4 million real estate portfolio, only to lose it by age 30. He has since rebuilt his financial life and now devotes himself full time to helping ordinary people understand the forces behind their financial distress and how to set things right. Five days a week, Dave talks callers through their financial questions and concerns—offering support to the hurting and guidance to the financially uncertain. For more than 15 years, The Dave Ramsey Show has built a following across the country. The program is now heard on more than 400 radio stations with nearly 4 million listeners weekly. In 2007, "The Dave Ramsey Show" on the Fox Business Network, a daily primetime television show, debuted nationally. Being an ELP isn't easy; it's hard work because ELPs are held to a higher standard of excellence. While ELPs do pay a fee to cover website maintenance and employment costs, Dave's endorsement is not bought — it's earned. We have over a 30 person team that interviews potential ELPs several times and provides support to make sure they provide the best advice just like Dave does. We also make sure that every ELP is someone you feel comfortable talking to and is a person you can trust. We've made sure our ELPs really do have the heart of a teacher and provide top-notch customer service. No one likes to be talked down to or feel like they don't matter. Our ELPs pride themselves on their willingness to work with every Dave fan and treats them like a friend! A shocking number of people overpay for commercial insurance, auto insurance and home insurance without realizing it. An independent insurance professional works for you not the insurance company. They are not limited to a single insurance company's plans. Independent agents can search dozens of policies from many reputable companies. And best of all, it's absolutely free to use an independent insurance professional!